It’s a really messy divorce, as they often are. More than two years since the UK voted to leave the EU, it’s still unclear how the split will happen and what the fallout will be. Andrew Kenningham, of Capital Economics, looks at the options. In June 2016, the British voted by a narrow majority to leave the European Union (EU), after 43 years of membership. The vote itself said very little about what the future relationship between the UK and the EU should be. Now, just five months before the UK is scheduled to leave, in March 2019, a range of outcomes are still possible. In name only or clean break? At one end of the spectrum, there’s a chance that the UK’s trading arrangements with the EU might stay almost unchanged. This possibility is often referred to as ‘BRINO’ or Brexit In Name Only and it would leave the UK in, or close to, the European Single Market. In a sense, this would be like a divorced couple choosing to live in the same house. Goods, money, and people would continue to move freely between all 28 countries. There’d be no border controls and few restrictions on migration. At the other end of the spectrum, the UK may leave the EU without any trade agreement at all. In this scenario, exports and imports would be subject to the common European tariff, just like trade between the EU and countries such as the US, Australia, or New Zealand. Trucks would need to be checked at every port and at the border between Northern Ireland and the Republic of Ireland. And the right to migrate from the UK to other EU countries would be restricted. This would be a huge change because there are 3.8 million non-British EU citizens living in the UK, and 800,000 British citizens living on the continent. And there are at least a couple of options in between. To add to all of this uncertainty, the British political outlook is becoming more and more unstable. Both the Conservative Party, which is in power, and the opposition Labour Party are openly divided over how closely aligned they want the UK to be to the EU after Brexit. 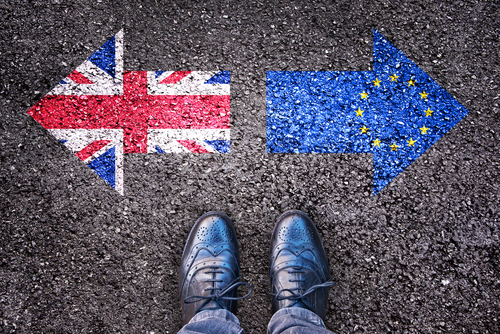 The parties have witnessed intense internal disagreement about the UK’s post-Brexit future over the past two years, little of which has been resolved. Prime Minister Theresa May is vulnerable to a challenge from within her own party. As her Conservative Party lacks a majority in parliament, there could be a general election. If there is, the outcome would be highly uncertain. Britain could even end up having a second Brexit referendum, which could call off the whole divorce from the EU. That said, opinion polls predict another close result, which could lead to even more confusion. All of this uncertainty has taken a toll on the economy. The UK is the only G7 country where economic growth slowed between 2016 and 2017, and it has continued to do poorly this year. There’s little doubt that leaving the EU will adversely affect the UK, but how big the cost will be depends on the nature of the divorce. 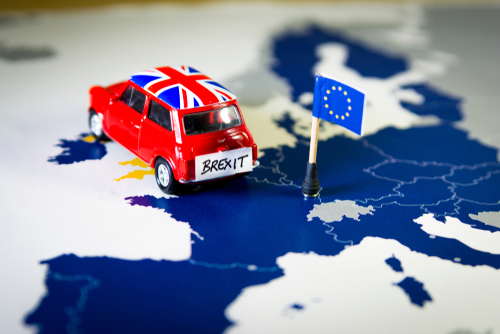 If the UK stays in a customs union, it would still be easy for retailers to trade across borders, and for manufacturers to stay closely integrated with the rest of Europe. Brexiteers argue that there could be big benefits from leaving the EU. And it’s true that payments to the EU budget would be smaller, and that EU red tape could be slashed. The UK would also be free to set up new trade relationships with countries such as China, India, and the US. However, these benefits cannot be guaranteed. Any budget savings may be outweighed by the costs to the country of slower growth. The government has no specific plans to remove EU regulations, and many of them are popular. And it may be impossible to reach meaningful trade agreements with the US or the other leading emerging economies. If there’s a smooth exit, share markets might do quite well in 2019, and the British pound, which hasn’t recovered from its slump after the referendum, could recover. There’d be a ‘deal dividend’. But, if the UK leaves without a trade agreement, the stock market and sterling may tumble. The fall would be particularly large if an acrimonious divorce were followed by bottlenecks at the borders, due to customs checks – and firms may even have to temporarily stop production. That said, policymakers would probably cushion the blow by cutting taxes and lowering interest rates, which would at least help bond markets. So much for the short-term impact. The long-term implications are even harder to predict, but it’s difficult to see any good news for the UK as long as the EU continues in its present form. It’s also possible that in the very long term, the UK might apply to rejoin the EU, after trying life outside it. US professor of psychology Nancy Kailash says around 6 per cent of divorced couples eventually decide to remarry, although it’s not known how happy they are second time around. Brexit: A combination of the words Britain and exit, to form Brexit. It’s a shorter way of saying the United Kingdom is leaving the European Union in 2019, after a vote took place in June 2016. G7: The G7, or Group of Seven, consists of the seven largest economics in the world. It includes Canada, France, Germany, Italy, Japan, the UK, and the US, representing 58 per cent of global net wealth.